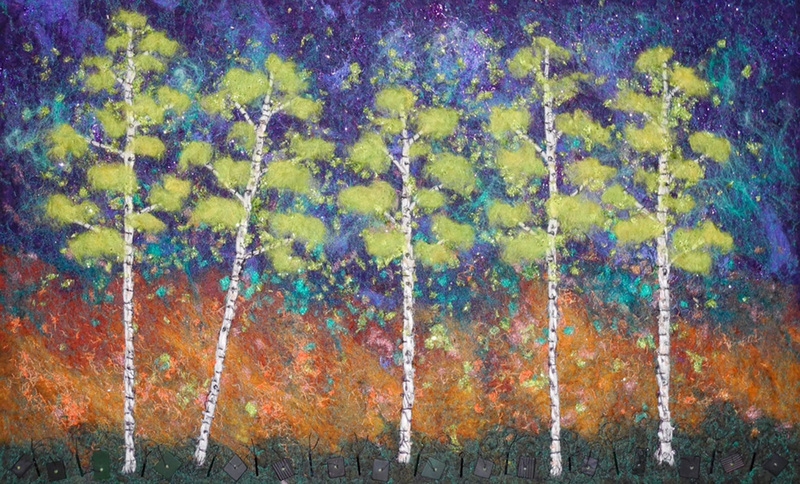 We are a group of Artists with Studios in the Lake Minnetonka Area…. 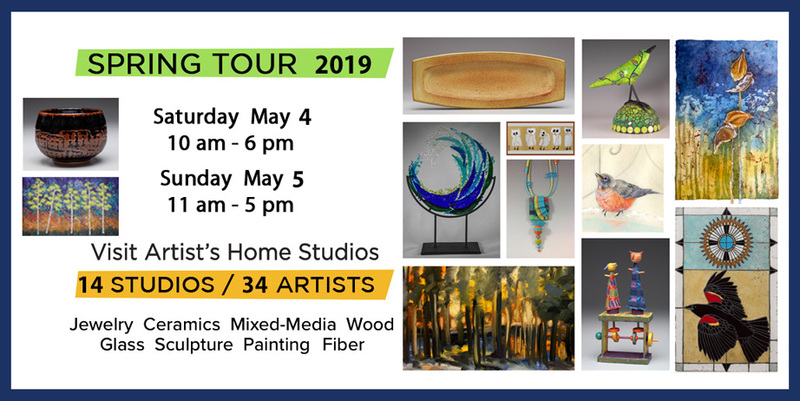 Along with our invited Guest Artists — We are 32 Artists who have joined together to host an annual (Springtime) ‘Open Studio’ Arts Tour! Continuing a tradition for over eight years, we look forward, every Spring — To opening our Studios, sharing our art, our creative endeavors, our artistic passions — For a full weekend of Open Studios. Our Artists work in various mediums, creating interesting, quality art — For your home, for your garden, for your life, for your enjoyment. Do stop by — Meet our Artists! Explore our Studios! Discover Art! Fiber / Jewelry / Ceramics / Painting / Glass / Mixed Media / Wood / Metal / Sculpture / More…. Meet THREE of our Artists on Video (2015 Tour) — Steve Hemingway, Patty Carmody Smith, Lisa Heyl.